Sharing a USB device across the network could be useful in several user cases, but virtualization is one of them: also if you can connect a physical USB device in VMware vSphere (since version 4.1), this give some limits in cluster features like HA. Also other virtualization product does not have similar features (in Hyper-V, for example, it will add only in the next release), so usually external box are used to convert your local USB devices in a client – server approach. 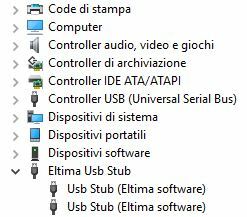 But those boxes are not cheap and sometimes you need to have your USB device close to the user and not in the datacenter (in this case with VDI you can remote it, but could be not so easy for remote Windows Server or Linux device). 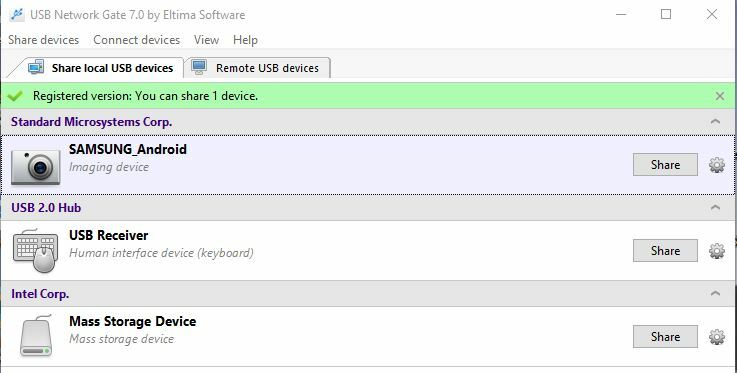 Etima has an interesting product to easily connects one or more remote USB devices to your computer over Ethernet (Internet/LAN/WAN) as if the device was plugged into your own machine: USB Network Gate (former USB to Ethernet Connector). 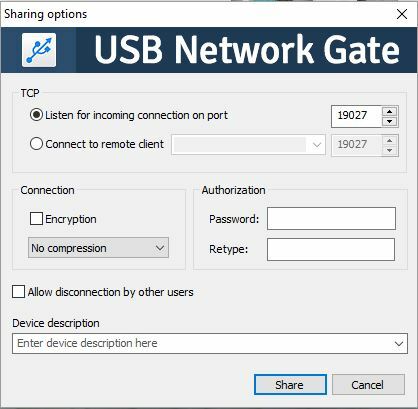 It can work in your office or across countries (with enough bandwidth) in order to use remote scanner, printer, webcam, modem, USB dongle or anything else as if they were connected directly to your PC. It can be use for virtual environment, but also for physical systems and support not only Windows systems, but also it’s available on Linux, Mac and Android. It can be used in trial for 14 days for only one USB device, but it’s a good way to test it. Also if they declare support for almost USB devices (included ID card scanners, Credit Card Readers, Digital TV Tuners), the best way it’s always test your device and verify how they works. Interesting the Android application, but in this case there isn’t a trial option, has only few comments, it support only Android 4.0-4.4 and it’s dated 13th Oct, 2014 (almost like the Mac version). The Linux version seems more supported it’s based on RPM and Debian packages and the lastest version is 3.6.0 (13th Jan, 2016). The Windows version support 32-bit and 64-bit Windows systems: XP/2003/2008/ Vista/7/8/10, Windows Server 2012. 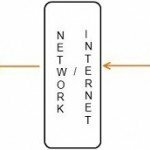 Sharing a device is quite easy: you can choose the port (a single port, that probably can work also behind NAT or PAT), define a password for the connection, choose the compression level (by default it’s not compressed) and also choose if you want to encypt your traffic (by default it’s not encrypted). As written is not free, but it’s an interesting solution and cheaper rather than most USB to network boxes. It’s also possible contact the vendor for integrate this solution in a OEM way inside other applications. #1 | Written by not about 2 years ago.